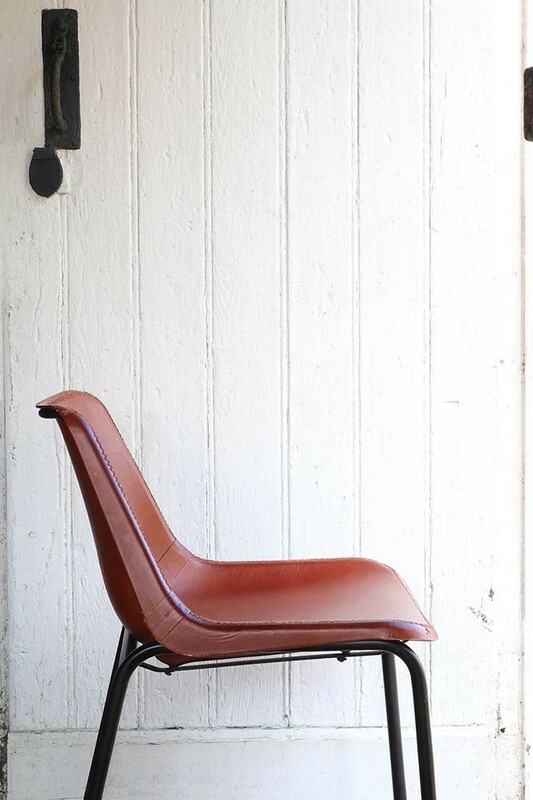 Relax into these comfortable and stylish leather dining chairs. Ideal for use around a dining table, this is seating that will make an impact. 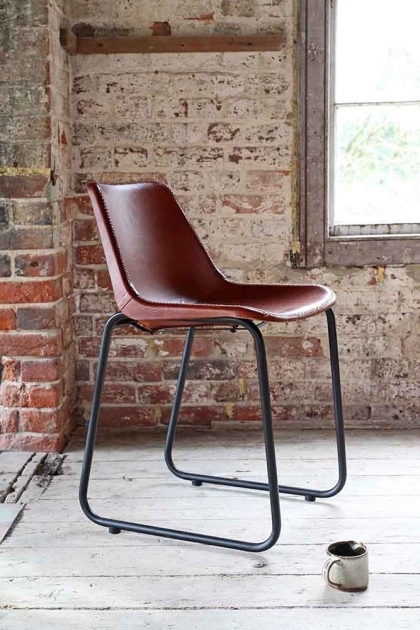 The chair is created using tan leather featuring copper coloured rivets. As these gorgeous chairs are leather, they can slightly vary in colour and they will distress with age and use, we think this gives them character and makes them unique to you and your home. Please note that the industrial leather bar stools are not suitable for commercial use.